The Schilli Companies - Daseke Inc. The Schilli Companies were founded in 1961 by the Schilli family and focus on warehouse transportation and open deck specialized industrial logistics solutions. Schilli’s services and asset-based fleet of company equipment includes flatbeds with lightweight trailers, industrial warehousing and distribution, export packaging and free trade zone access. The Schilli Companies are comprised of four companies, including Schilli Transportation Services, Schilli Specialized, Schilli Distribution Services and Schilli National Lease, a member of National Lease. Schilli Transportation Services’ approach is to fully understand your business and then apply its combined logistics and supply chain management expertise with that of its affiliates to provide tailored, customer-driven, cost-effective solutions. Schilli Transportation Services looks for opportunities where its competitors see only hurdles. 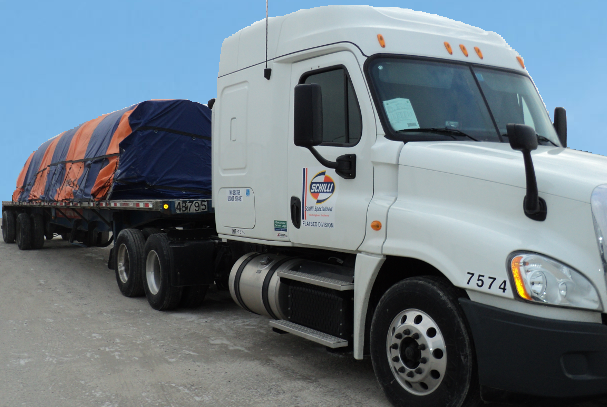 With 48-state authority and Canadian provincial authority, Schilli Specialized is your single source for transportation of your goods and products. Whether it is local, regional, or long-haul, Schilli Specialized (SSI) has the resources to provide you a program that will save you money and guarantee you committed service. Schilli Distribution Services provides worldwide distribution and logistics services, with a special focus on excellent customer service, state of the art technology and providing clients with complete process visibility. Schilli NationaLease provides long-term and short-term leases, short-term rental, and maintenance programs for tractors, trucks, and trailers, as well as a national fuel purchasing program that offers significant discounts to its customers.